As bread is a yummy and tasty food. It is soft and delicious and is present in many kinds. It is made using many ingredients but many people get confused whether bread makes you fat or not? If I personally share my experience with you then I must say that bread makes me bloated sometimes and it is not easily digested as well. It may not be the case with everyone but here I would like to discuss this topic in detail. WHY DOES BREAD MAKE YOU FAT? DOES EATING BREAD MAKE YOU BLOATED? DOES BROWN BREAD MAKE YOU FAT? There are many types of bread. These differ in the ingredients. Not all types of bread make you fat. There is also a kind of bread that helps you in losing your weight. Can eating a lot of bread makes you gain weight? So, the answer is YES. White bread is refined one and is considered unhealthy. It has more content of gluten and carbohydrate content is also high. A survey tells that the people that are eating white bread have a 35% to 40 % risk of getting fat. It also causes problem in digestion. 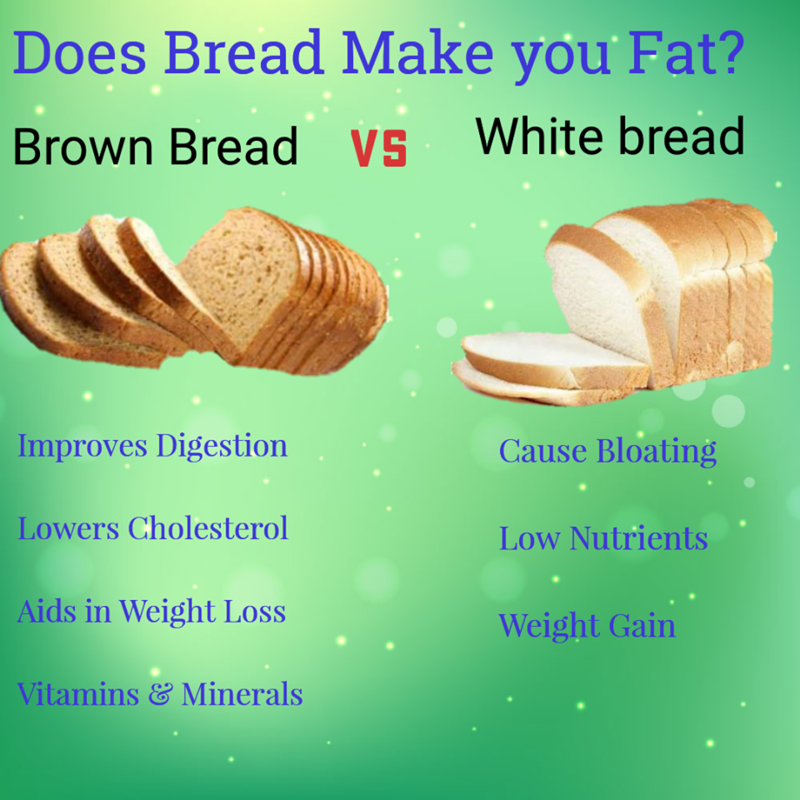 Your body has to work more for digesting white bread than any other bread. The above mentioned types of breads are healthier in comparison to white bread. Brown bread helps you in losing weight also it is known as wholemeal bread. Rye bread is a type of bread that is less refined which is a reason that it is considered healthy. It is a high content of fiber and you will like it as it has flavor of nuts. Spelt bread contains many minerals including manganese, copper, and magnesium along with vitamins thiamine, niacin and folate. It has the same flavor as rye bread. Wheat free bread is made from mixture of grains. These can contain both the grains of spelt and rye. Other than these it has oat, barley and also millet. Other grains can also be found in it. Altogether it is healthy bread. Inquiry about these bread that whether these make you fat or not is a simple NO. These types of bread don’t make you fat instead these breads aid in preventing weight gain. Breads are being consumed by human beings for many decades but the question that why bread makes you fat? Is something perplexing for people? As many of the people has been eating bread in breakfast from many years. The reason of weight increase because of eating bread is something confusing for people. This confusion will be cleared after reading the following description. Bread is a food higher in carbohydrate content. Human body deals with different nutrients differently and it is not good in handling bulk amounts of carbohydrates. When these starchy foods enter your body these are immediately broken down into glucose that enters your blood stream in no time. When there is more sugar in the blood then insulin hormone is released. This hormone not only controls the blood sugar level but also enlarges the adipose cells of your body. This also prevents the usage of stored fats for getting energy. That’s the reason which causes obesity. 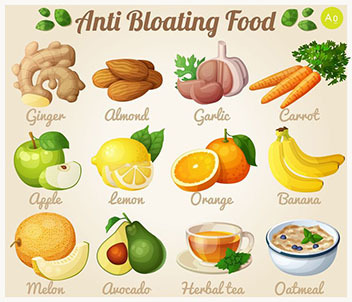 Bloating is a condition in which your stomach and intestine enlarges in size. This can be caused by gas or liquids. The size of these organs enlarges and it causes pain that is sometimes unendurable. Coeliac illness; in this disease the small intestine loses its ability to absorb the beneficial particles in food. This is triggered by sugary foods or foods having gluten content in them. 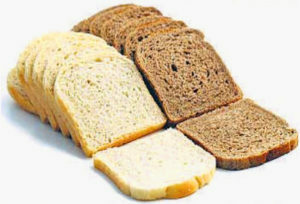 As bread also contains a protein named gluten so it can trigger this disease as bloating is a symptom of this disease. 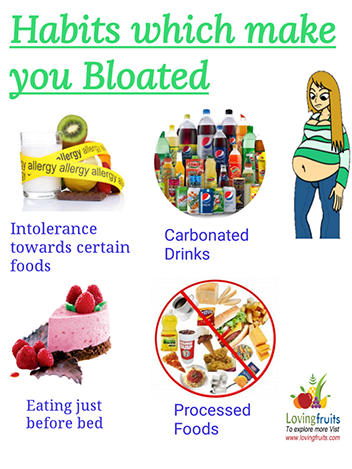 So, yes you can get bloating but this does not happen in most people. 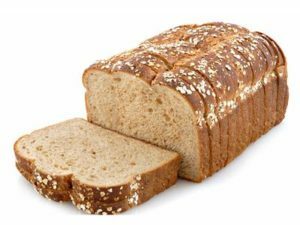 People that are allergic to these things or have already encountered coeliac disease should not be eating bread in a way to prevent bloating. Brown bread is the type of bread which is used by people that are on dieting. It is said that it helps you lose weight or prevents weight gaining. So, if someone asks you that does brown bread make you fat? Give him an immediate answer that is NO. Brown bread is made from wheat, molasses or coffee. The ingredients can vary in different regions. It has 75 to 80 calories. It is also known as wholemeal bread in some parts of the world. Brown bread does not make you fat instead it helps you in losing the fat layers off your body. If you want a slimmer body, you should add brown bread in your diet and remove white bread. It has many less calories as compared to white bread. It is also thought that brown bread is healthier. You would have seen that dieticians and nutritionists prefer and recommend brown bread as it is wholemeal bread. Today’s topic comes to the conclusion with not all types of BREAD MAKE YOU FAT. You should not stop eating bread as it is tasty and also healthy. Eating lots of high calorie foods make you fat along with bread.